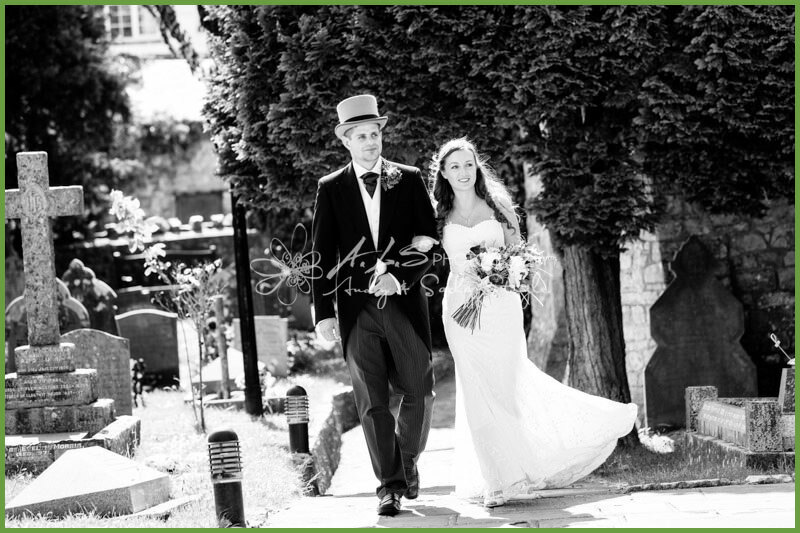 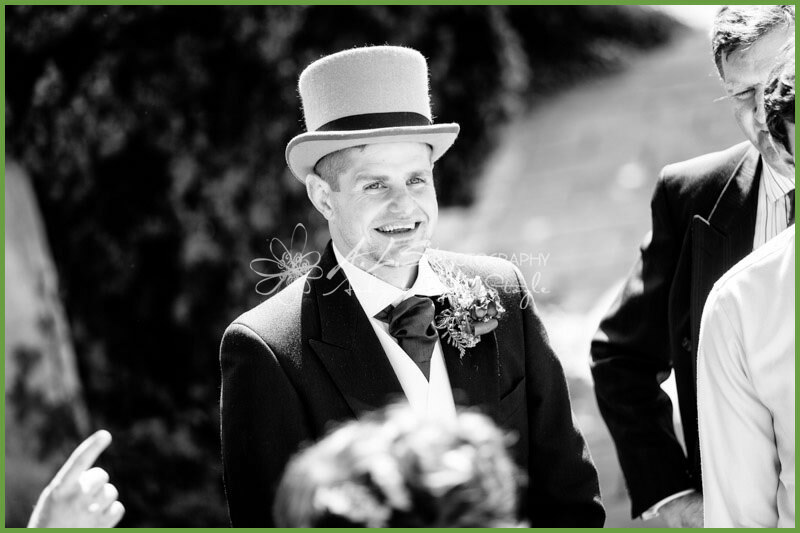 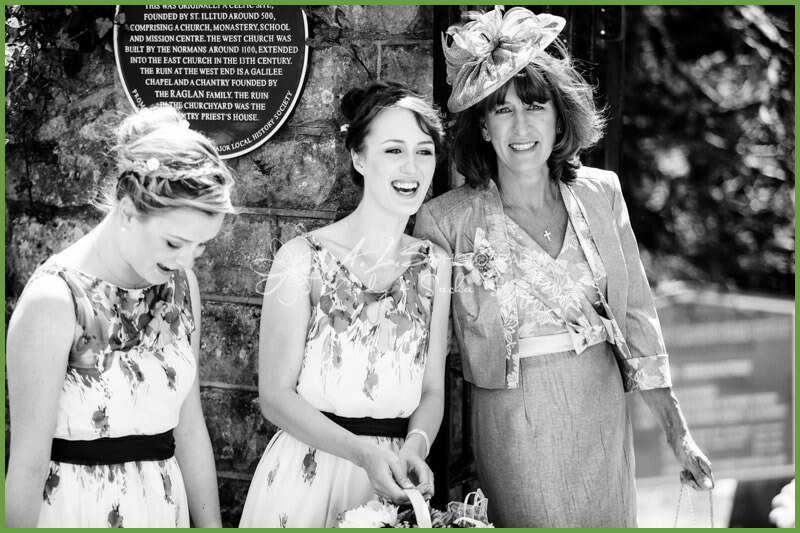 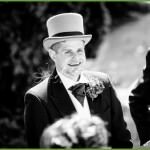 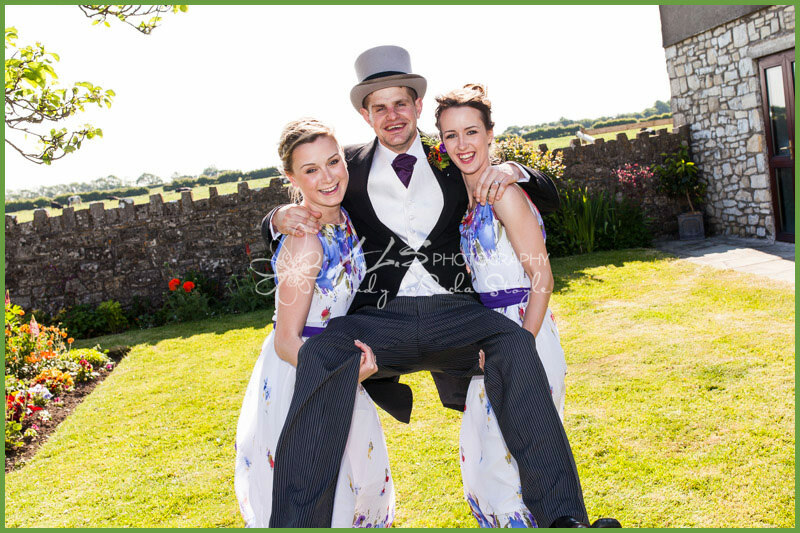 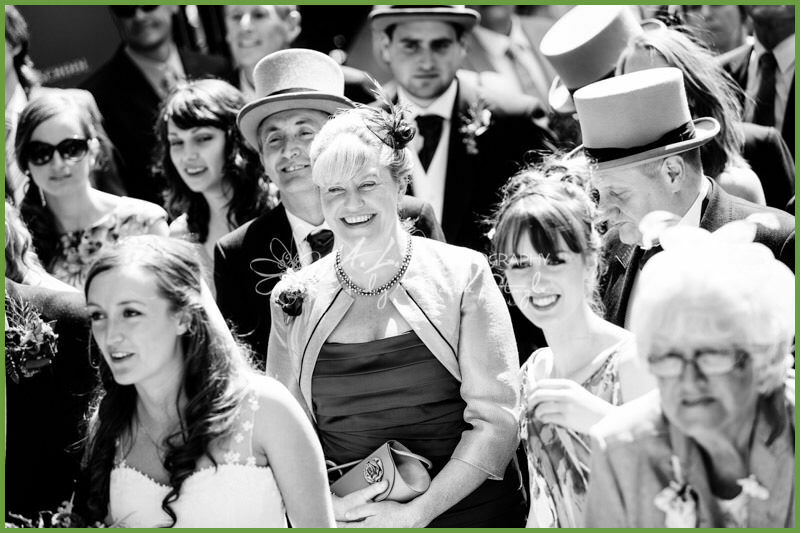 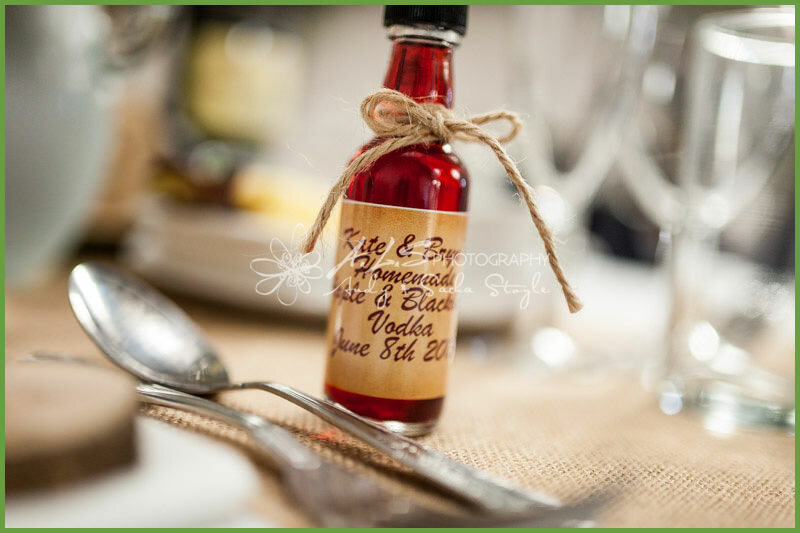 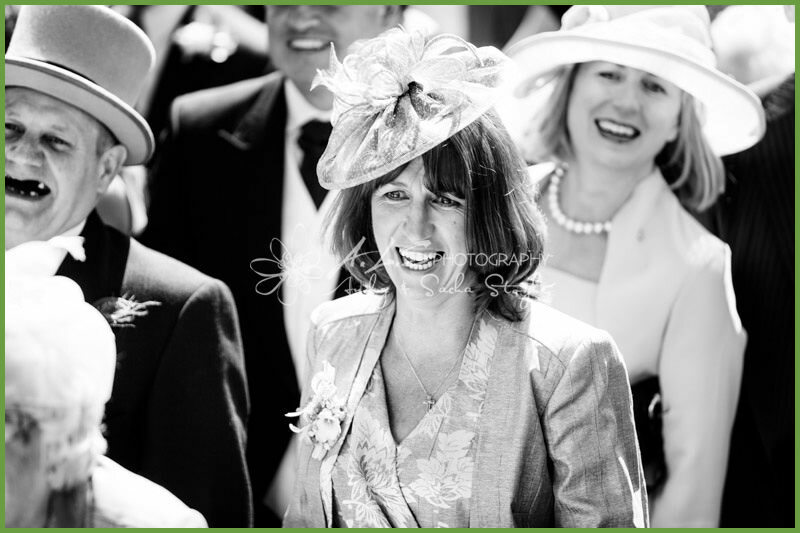 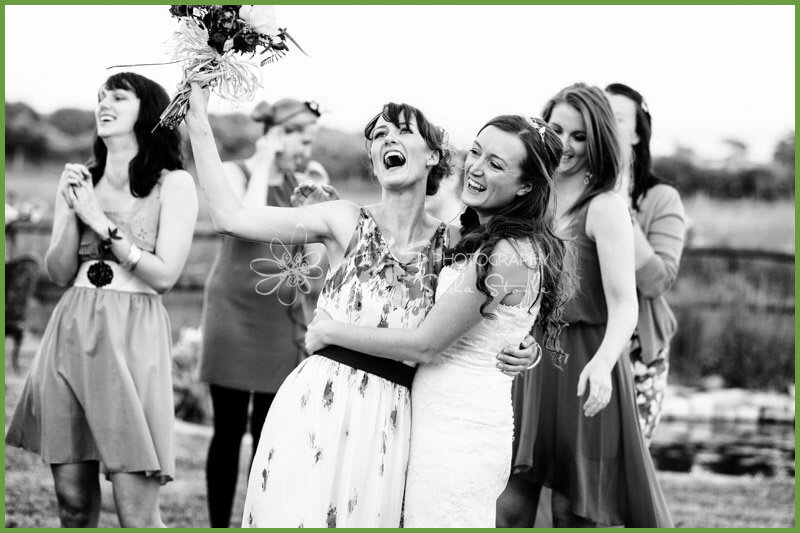 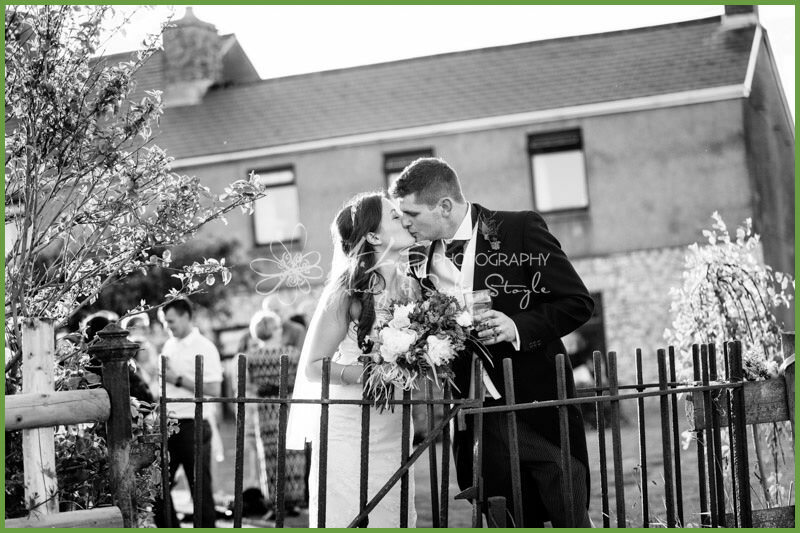 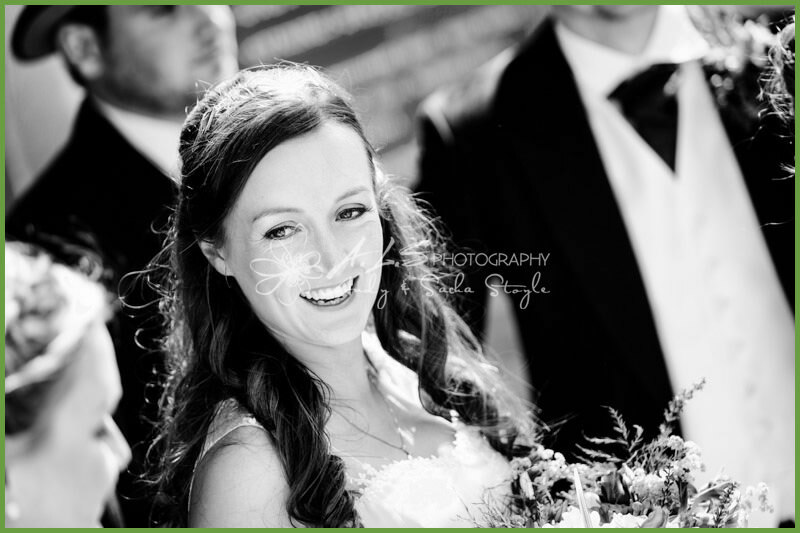 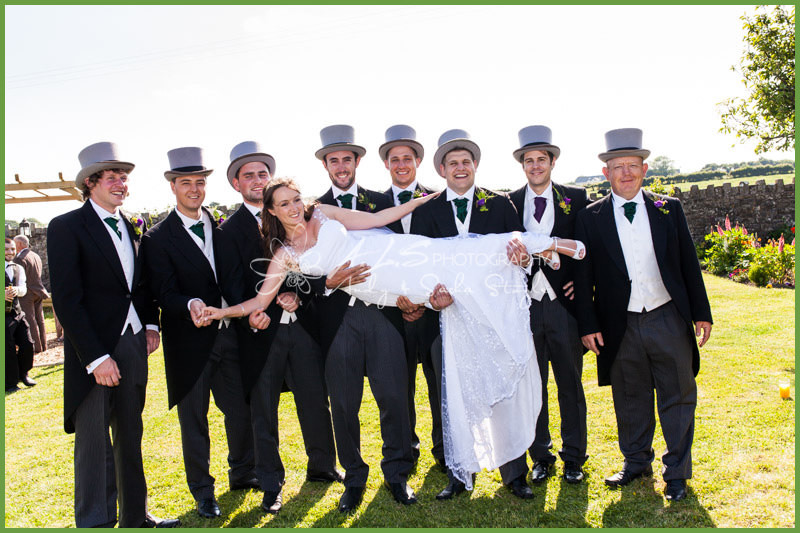 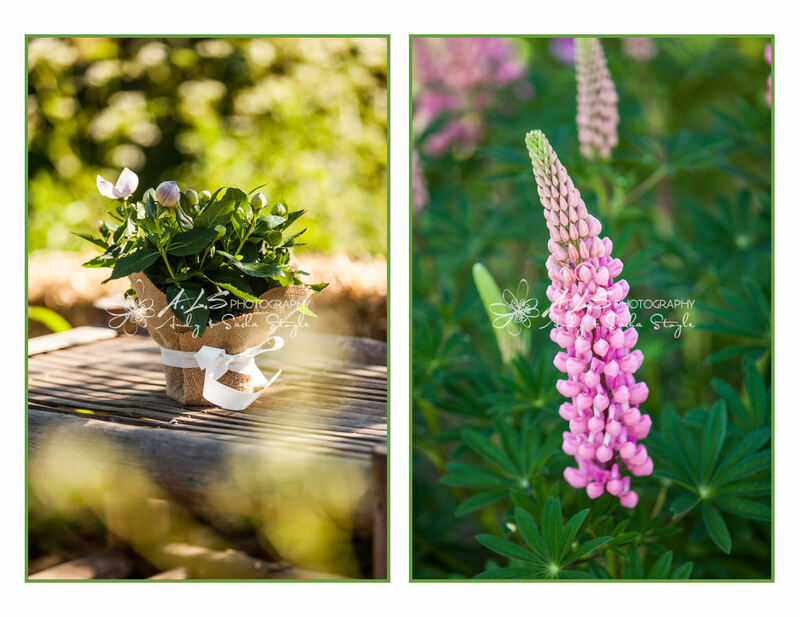 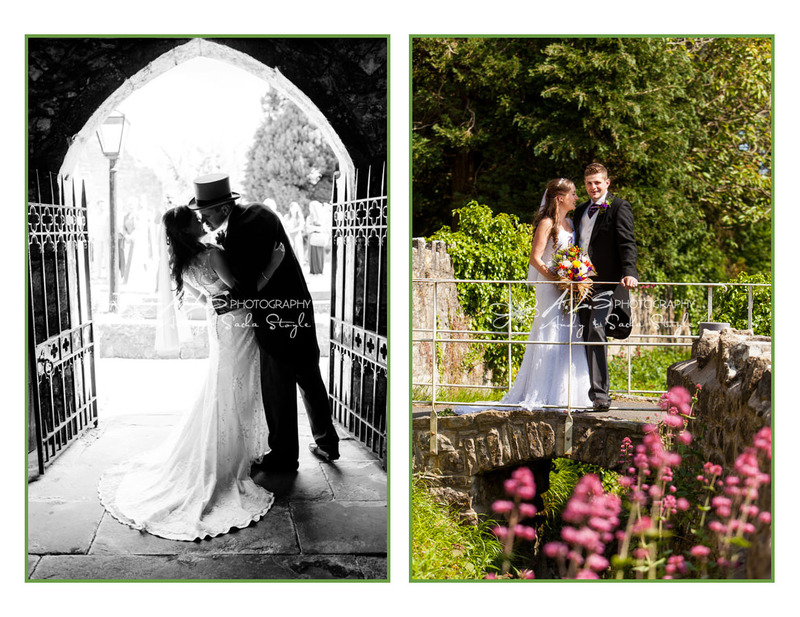 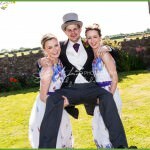 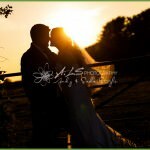 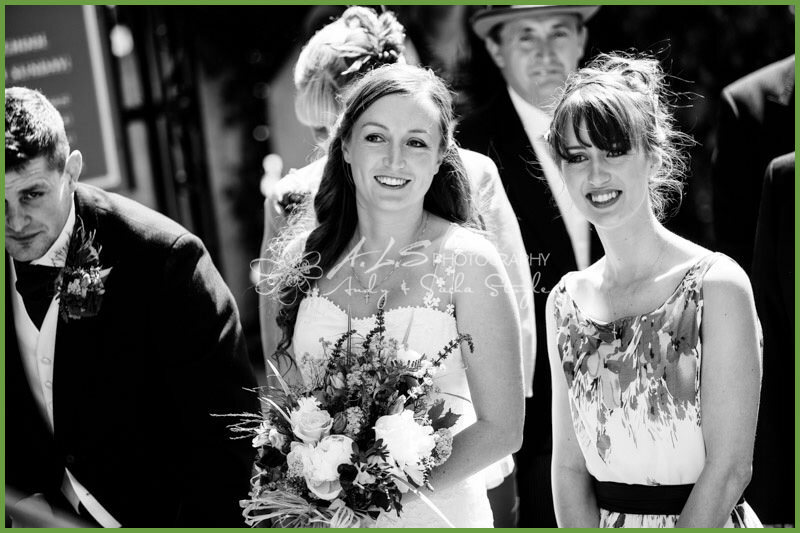 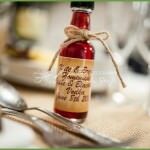 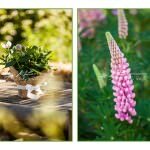 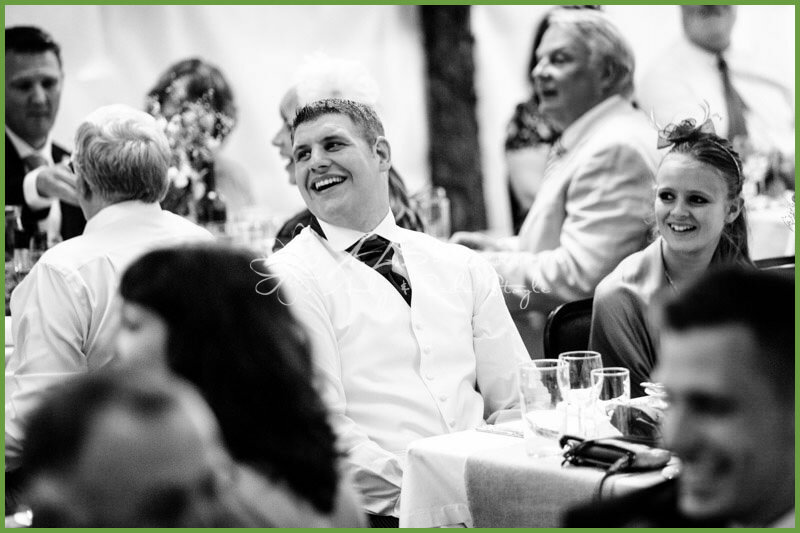 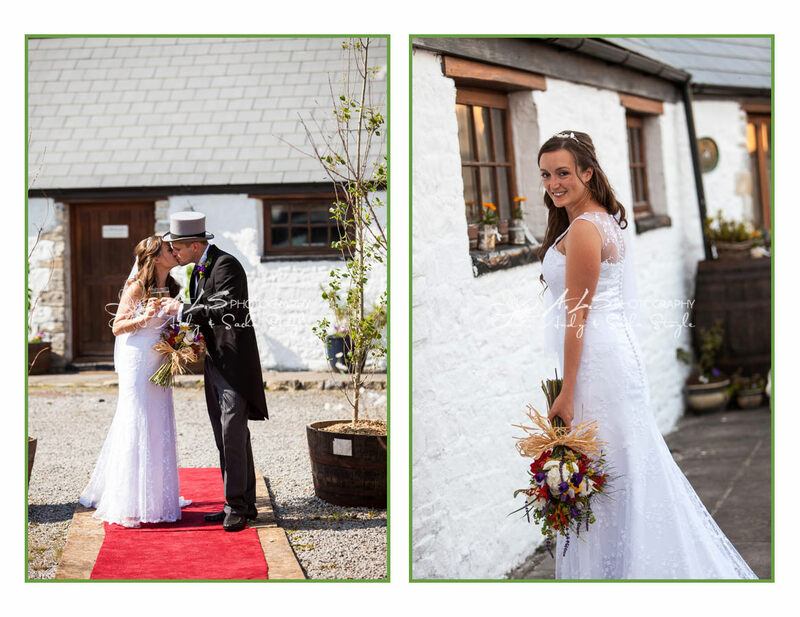 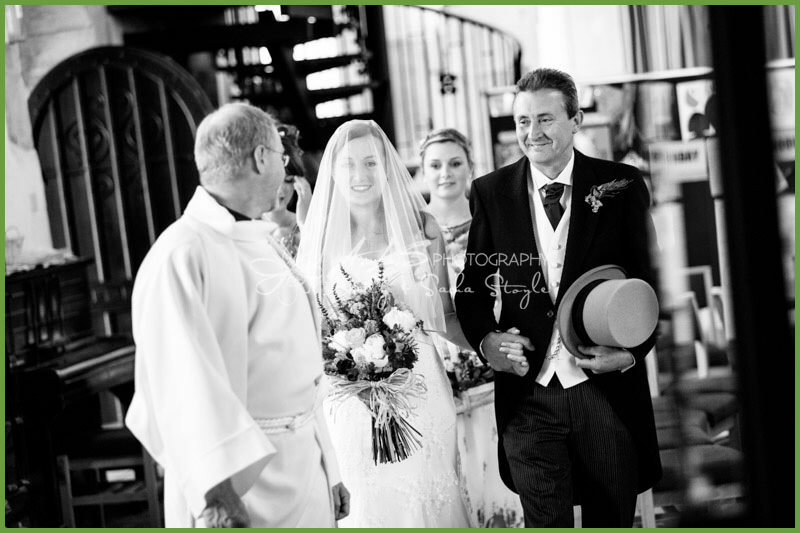 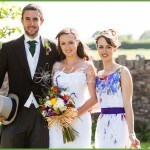 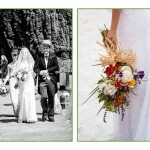 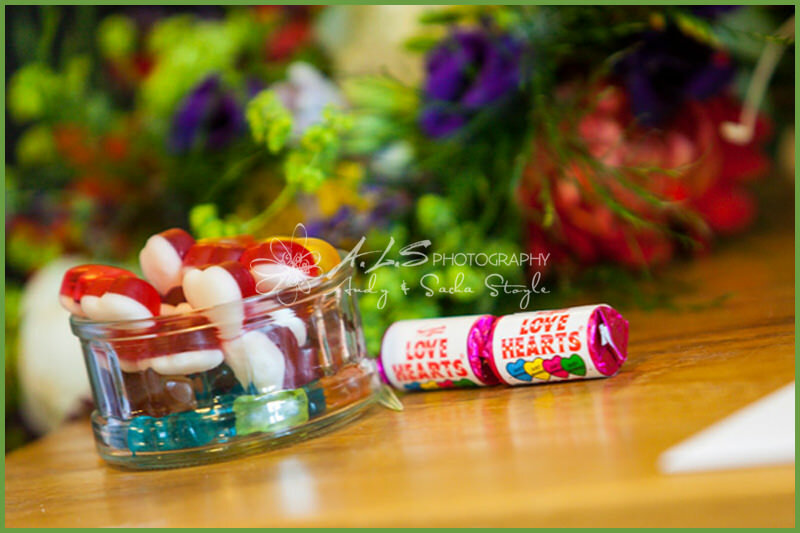 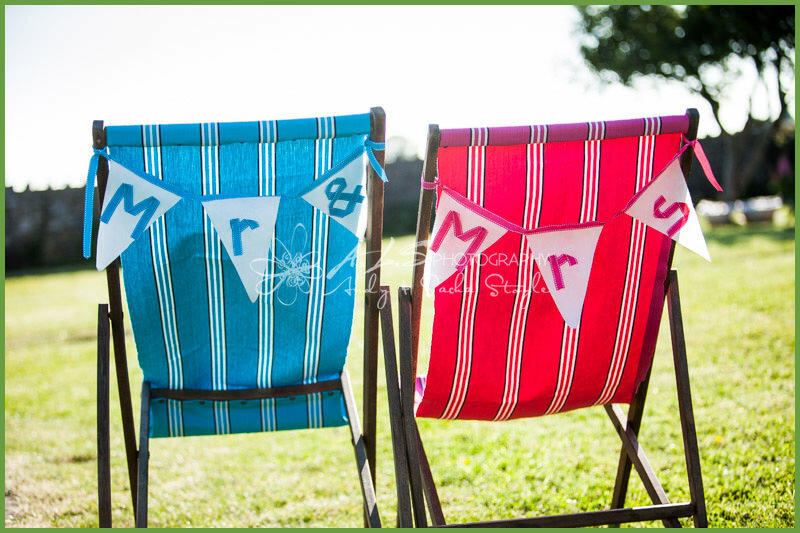 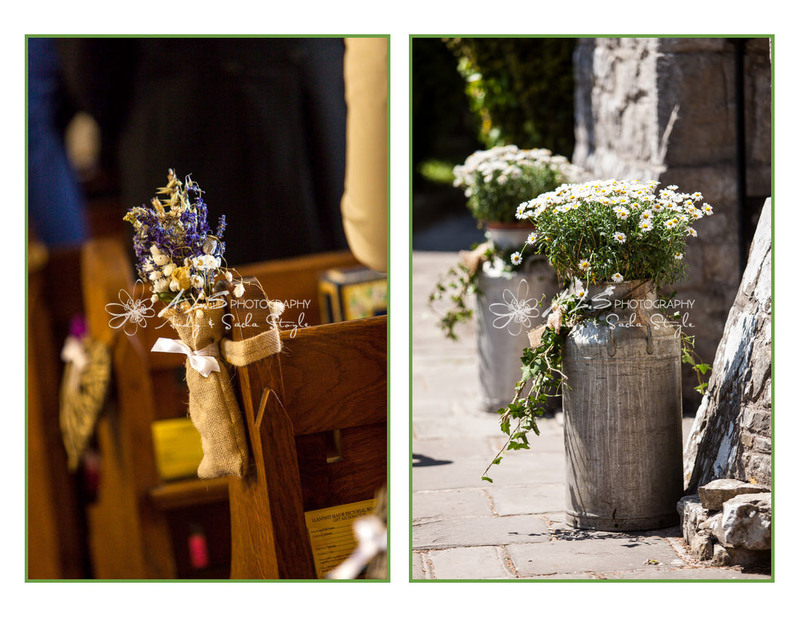 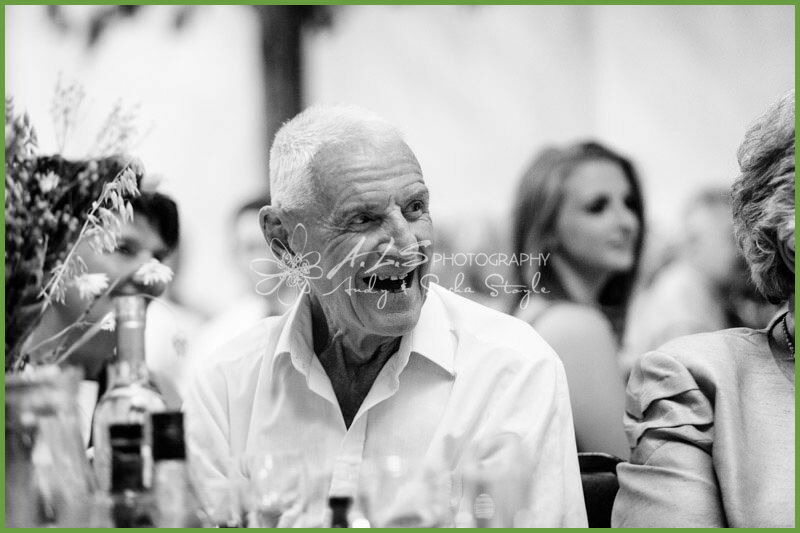 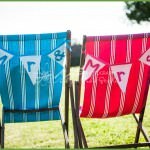 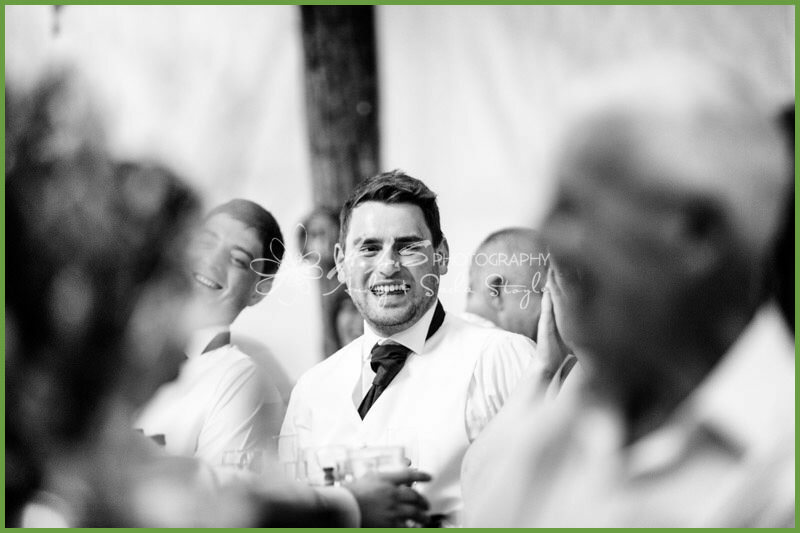 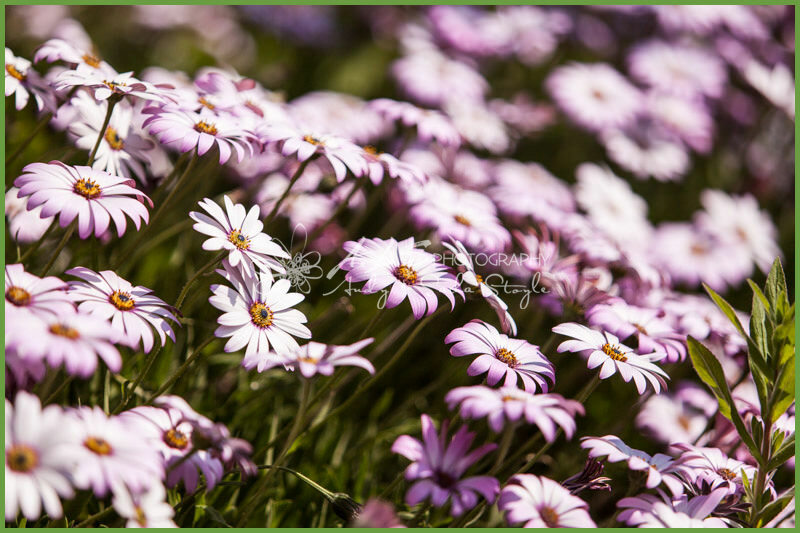 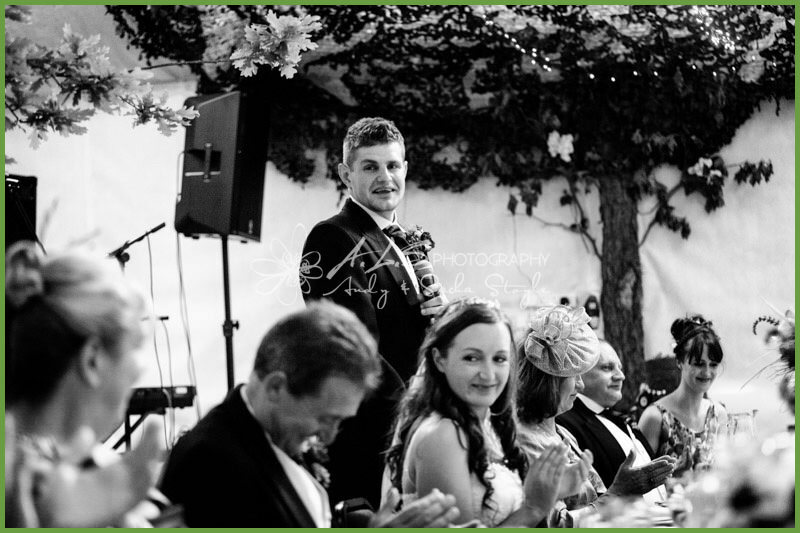 Here are a few of our favourite images from last Saturdays wedding of Kate & Bryn! 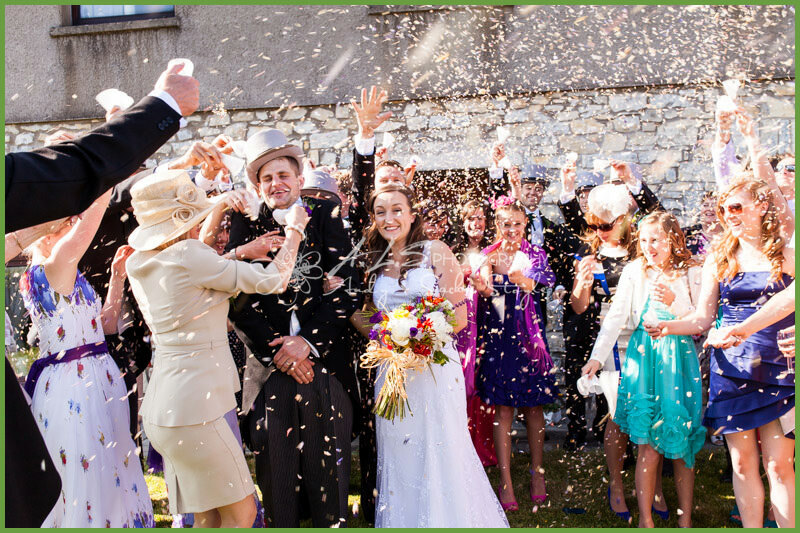 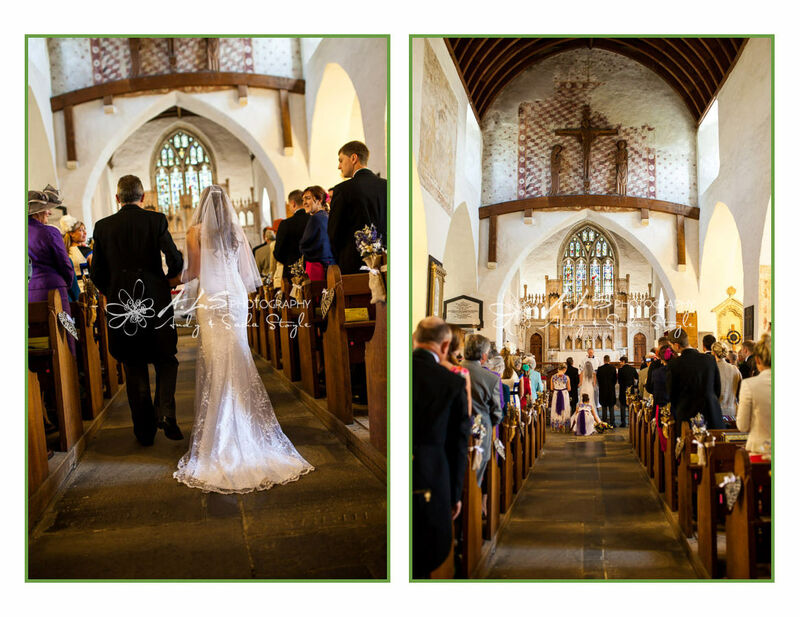 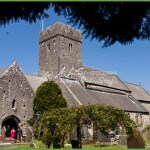 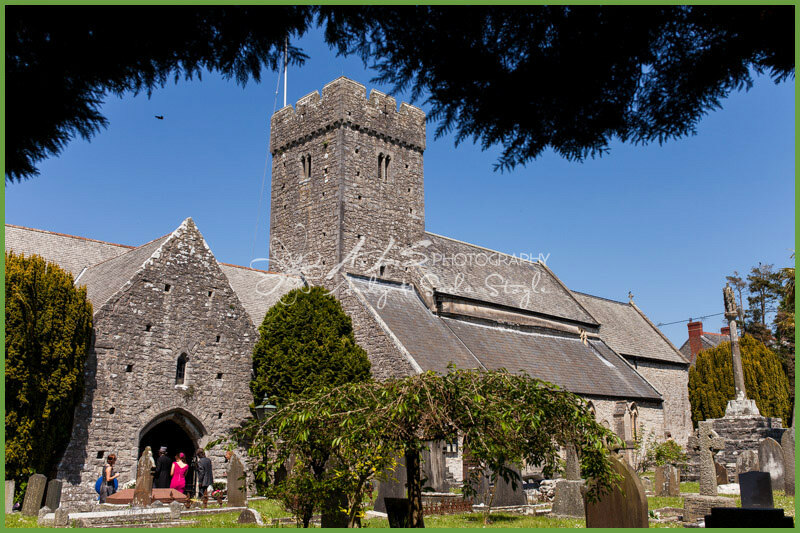 We started at St Illtyd’s Church in Llantwit Major – we just had to walk out of front door and we were at work! 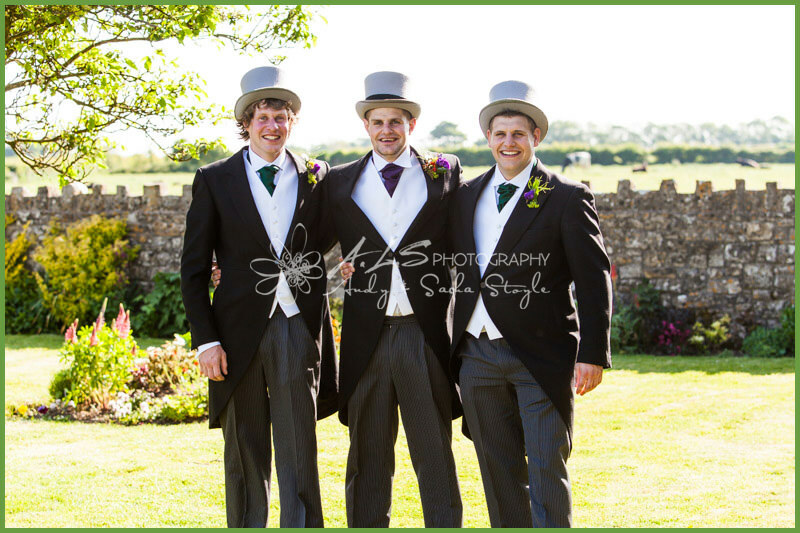 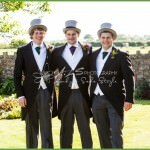 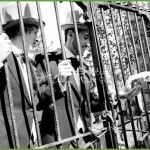 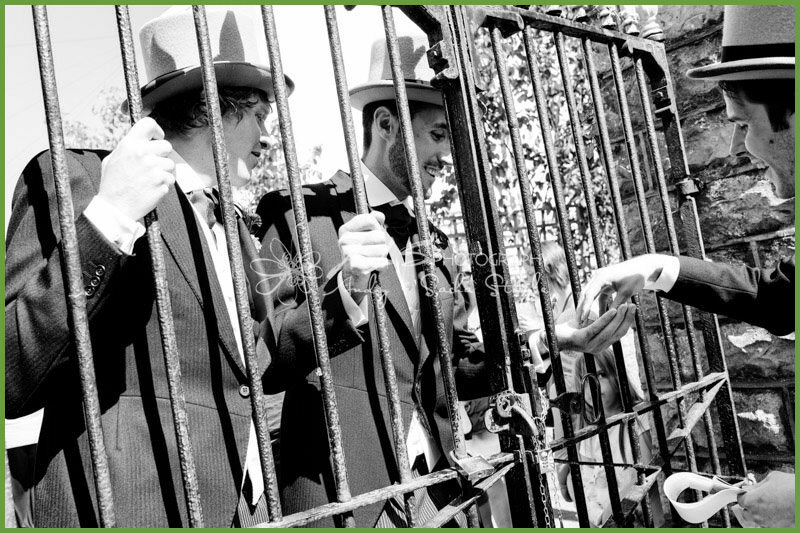 In fact, everyone who contributed to their special day were local to Llantwit apart from the Men’s suits they were from Oh Suit Hire in Pontycymmer. 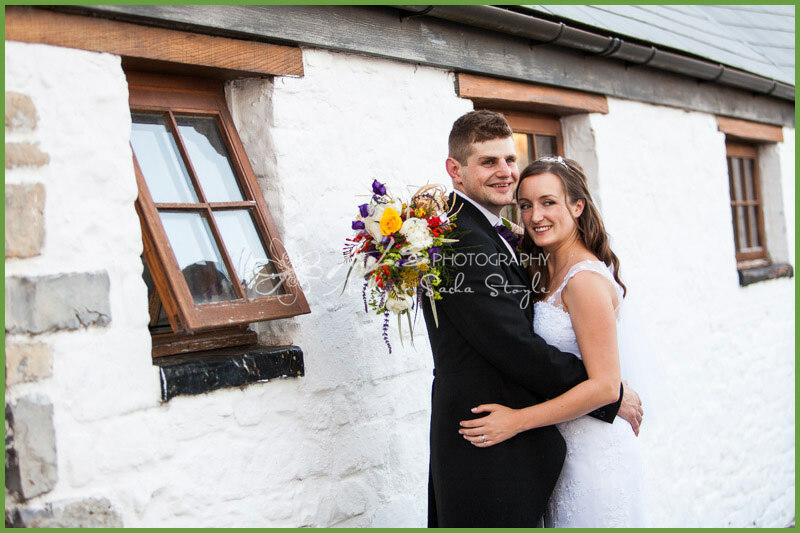 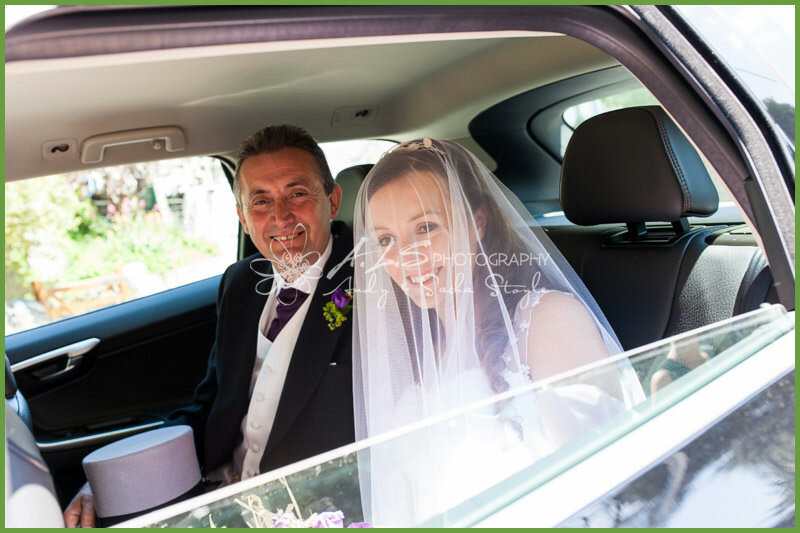 Kate was driven to the church from her nearby home at Purlon Farm in Llantwit by her Uncle. 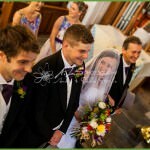 It was a lovely service, taken by Father Anthony who knows the Powell family very well and blessed their beautiful rings that were from Crouch the Jewellers. 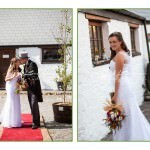 The Bridesmaids arrived before Kate and her dad and we had the first look at their dresses, handmade by Kate as was her own Beautiful wedding dress! 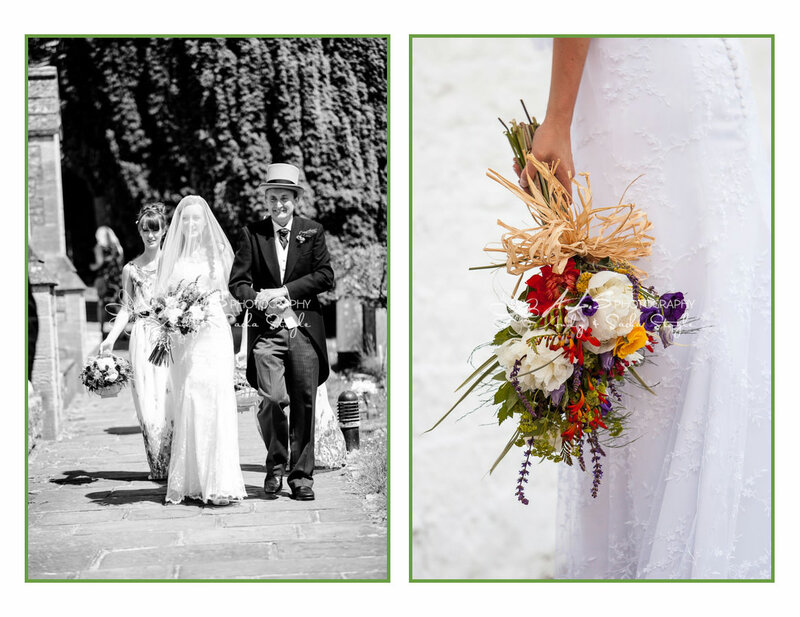 The whole theme of the day was about wild flowers, forest and the natural countryside, the Bridesmaids’ dresses reflected that and were simple in design. 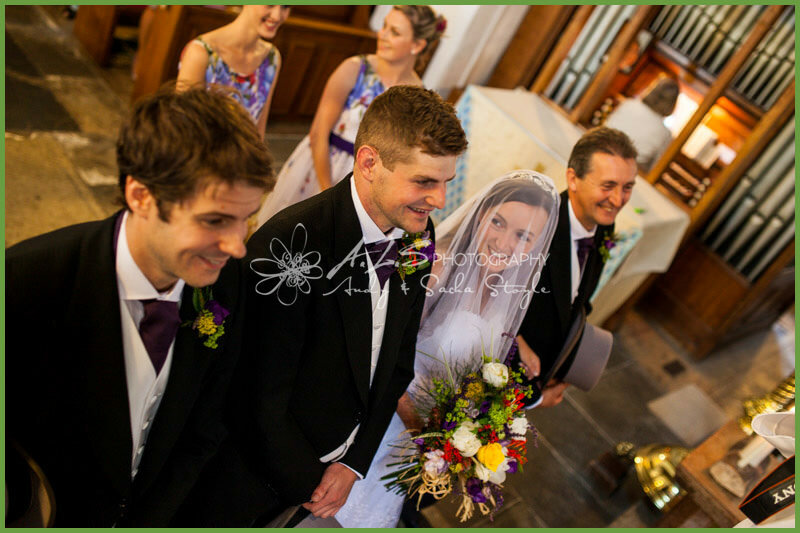 All of the Bridesmaids & Ushers including the Best Man were family members. 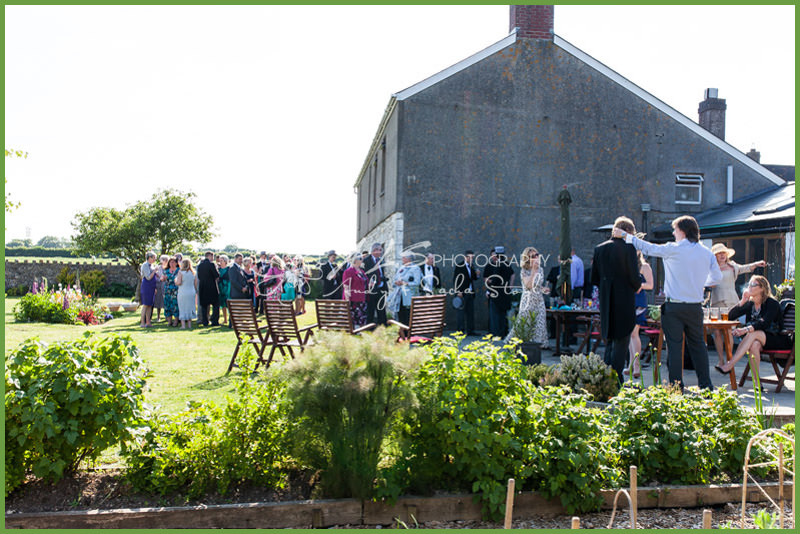 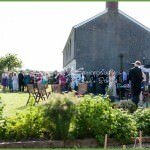 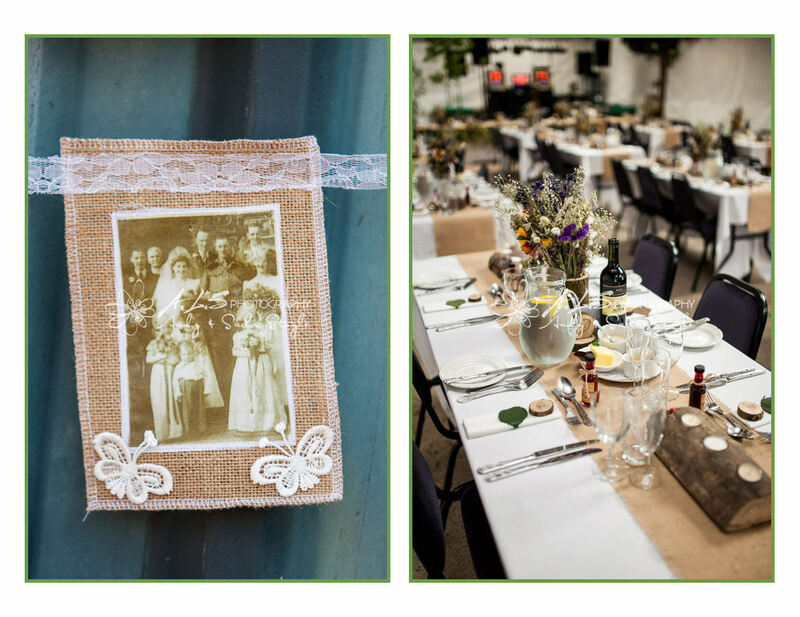 Cresta Caterers provided beautiful food that was served to the guests in the ‘Cow Shed’, though you would never have guessed that it was a shed of any description as Kate & Bryn had worked amazingly hard at creating a wooded forest. 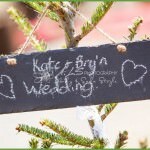 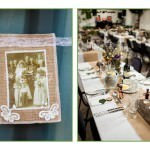 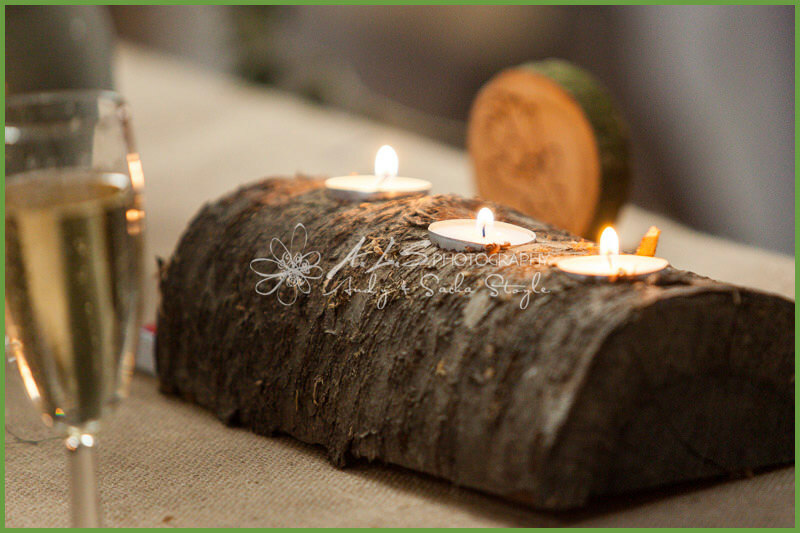 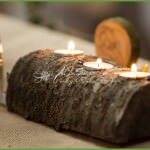 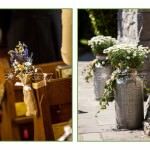 The table plan, place and table names were all hand carved, with dried flowers for their centre pieces and even a tree stump for their cake stand. 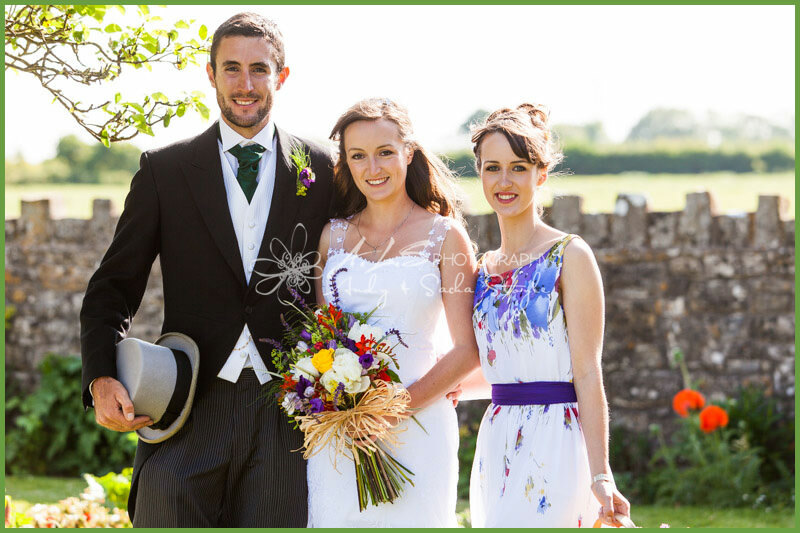 The cake was made by their next door neighbour, Stella, which Kate & Bryn cut with a sword! 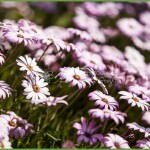 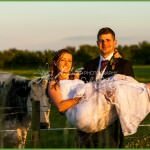 We shot all of the family portraits in the garden in front of the farm house and then the Bridal portraits in the surrounding field. 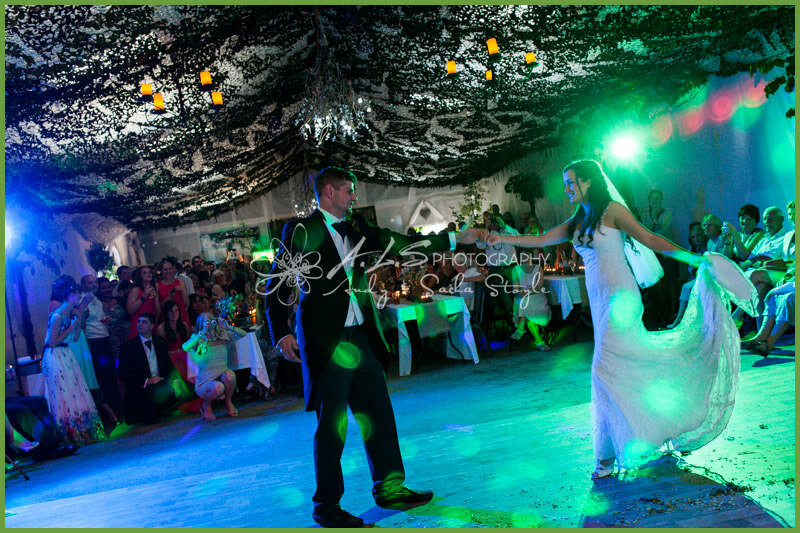 The evening entertainment was provided by a DJ who followed the live performance of local band ‘Finding Fiona’! 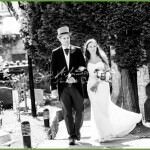 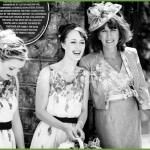 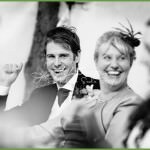 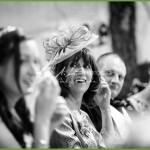 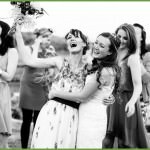 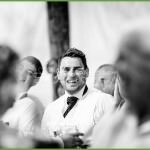 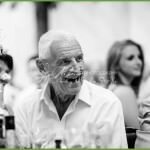 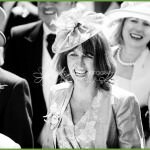 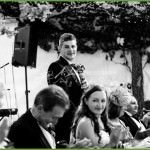 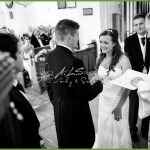 Our style of wedding photography is a mix of documentary photography, unobtrusively capturing moments with natural, Fine Art style bridal portraits. 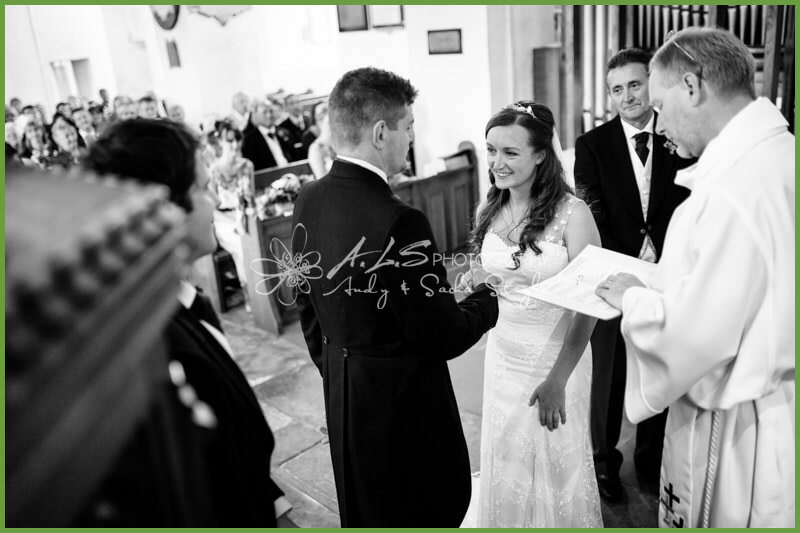 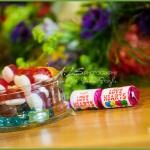 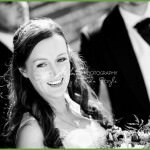 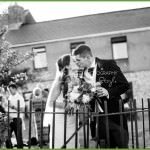 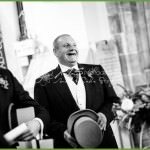 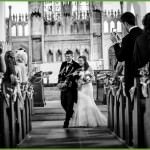 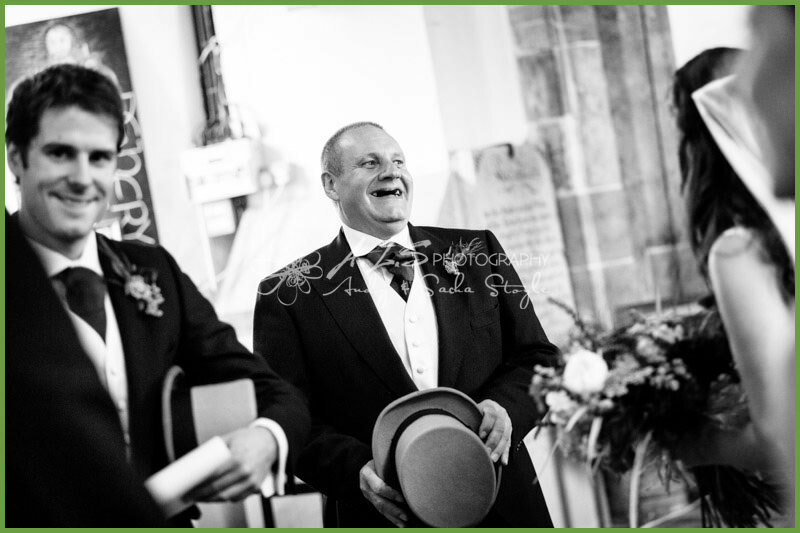 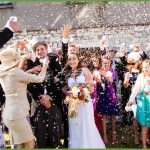 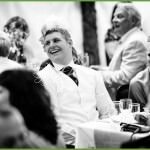 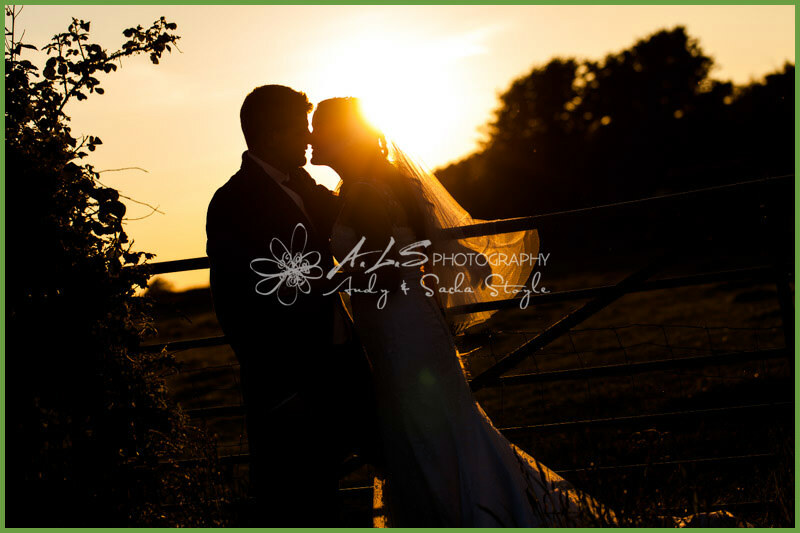 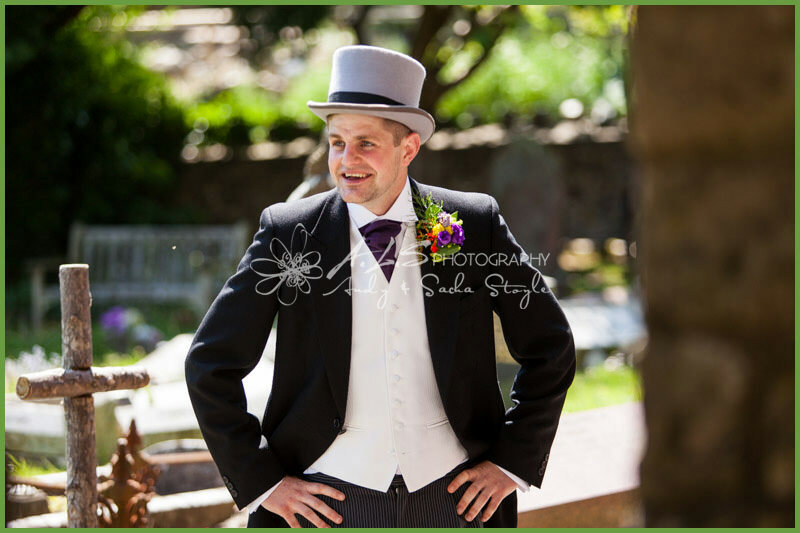 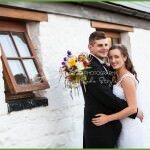 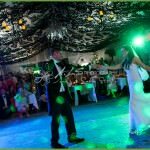 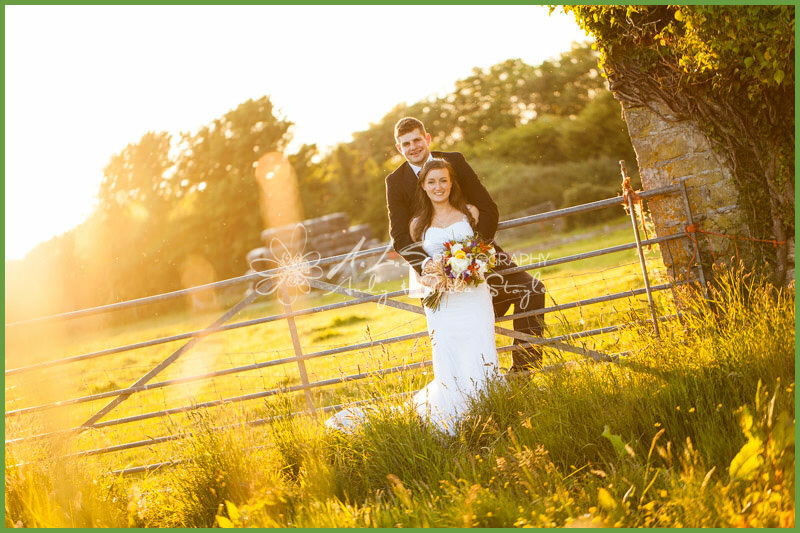 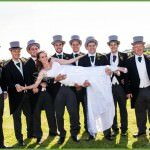 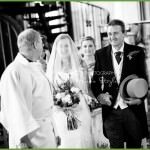 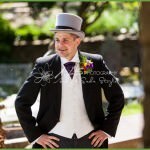 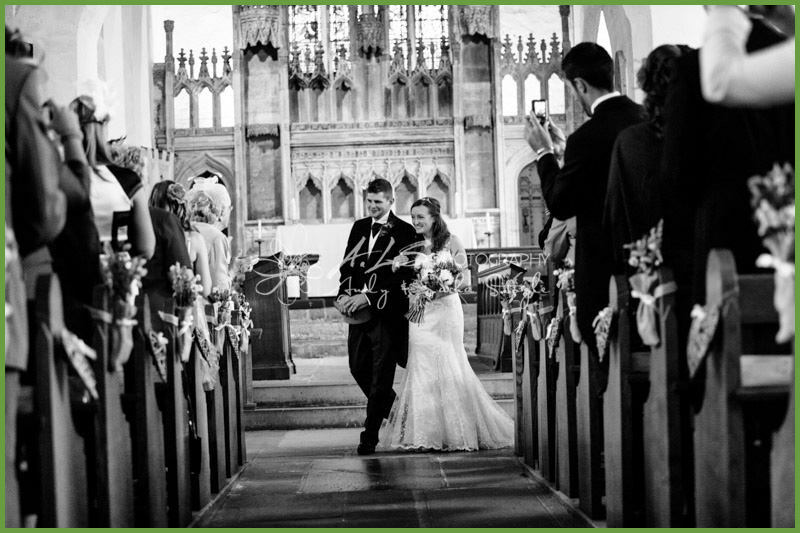 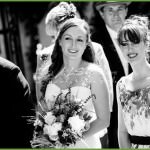 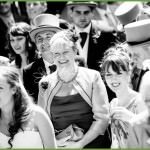 For a further look at our images of our South Wales Wedding photography, please have a look at our Gallery or other Blog Posts and if you have any questions about our services don’t hesitate to leave a comment below or contact us. 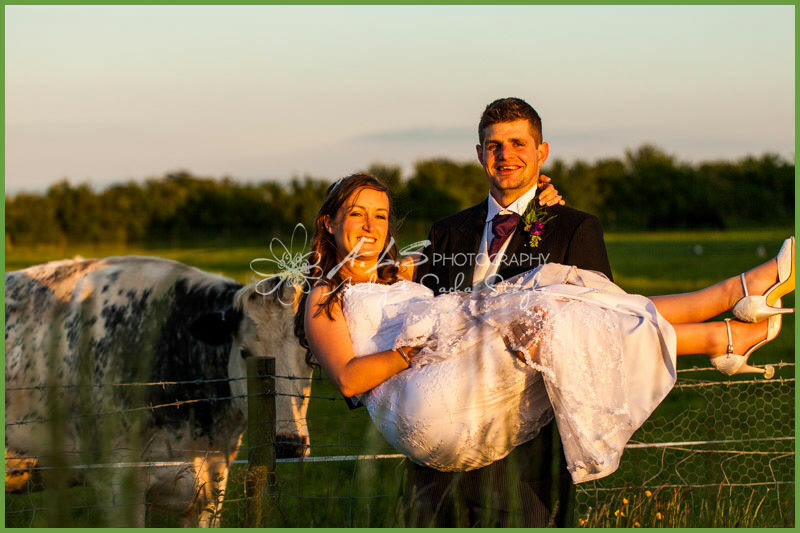 Thanks very much Ruth. 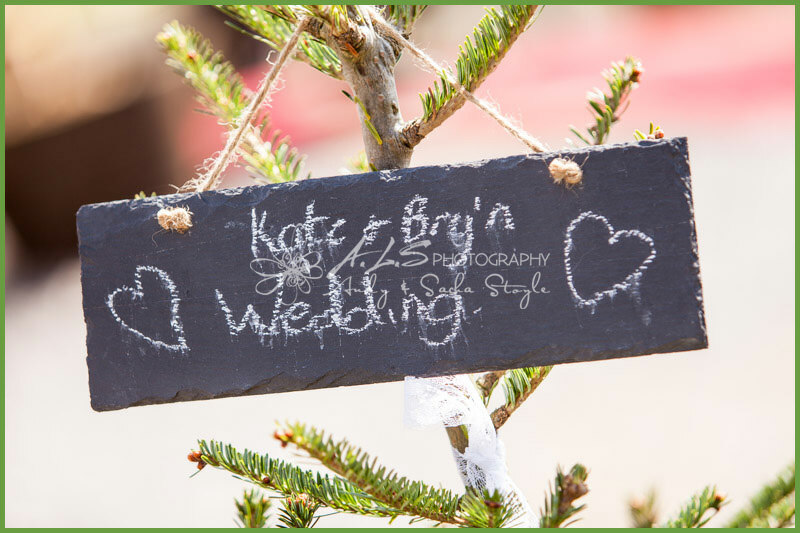 Can’t wait to catch up with Kate & Bryn when they come back from their honeymoon! 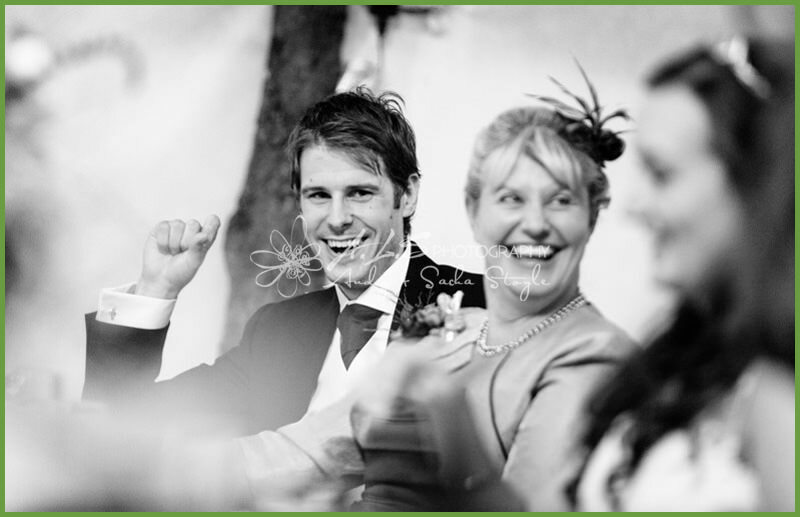 Hi both – Welcome home, hope you had a great time on Honeymoon! 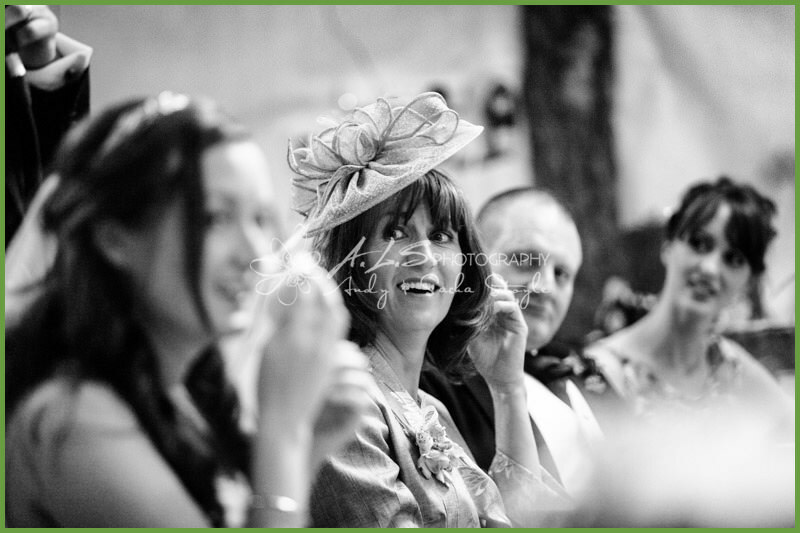 Looking forward to seeing you soon!